World War1 (28 July 1914 - 11 November 1918). This war was known as the “Great War” or the “World War” and the “War to End All Wars”. When World War II started it was referred to as World War I. 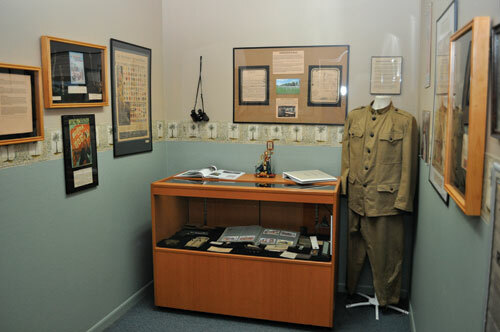 The museum has a room dedicated to World War I with over 50 items including a German Pickelhaube. Another item of that has had great interest has been the tunic for the Minnesota Home Guard which is also on display.